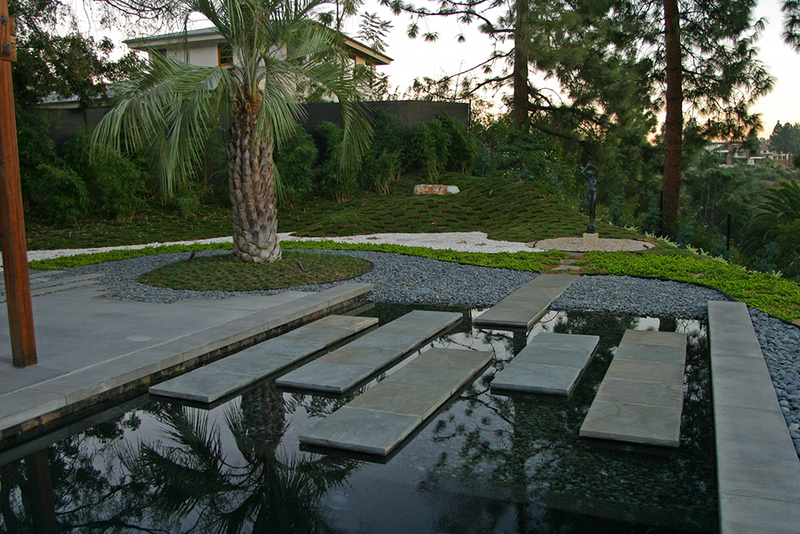 Based in Japanese landscape architecture techniques, this garden utilizes the borrowed views of the surrounding hillsides and creates a private oasis tucked into the Hollywood Hills. The pool becomes a water feature and a reflecting pool to not only push views toward the horizon but reveal the verticality of the site. 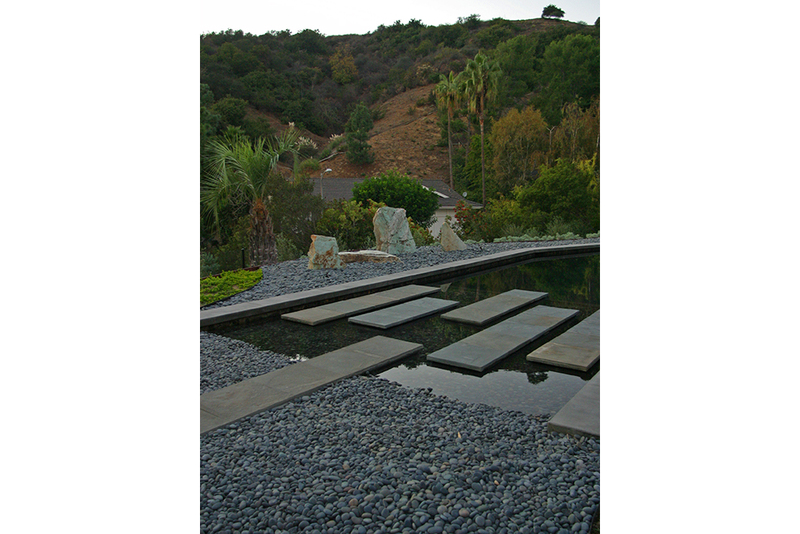 The use of stone provide clean transitions and graphic interest luring the visitor to explore the garden and providing seating areas for contemplation and vantage points to enjoy the garden. 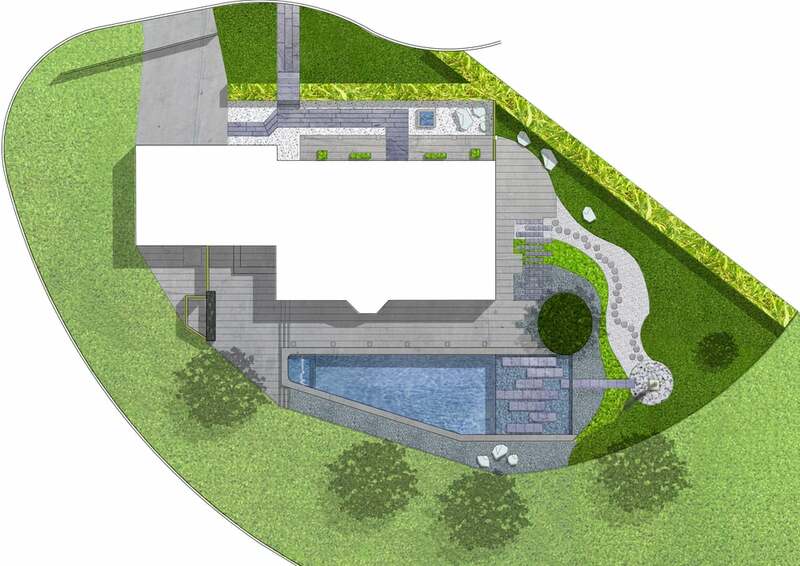 The garden changes at night with subtle landscape and pool lighting, and an outdoor gas fireplace to stay warm. The garden uses primarily drought tolerant plantings and is extremely low maintenance.